INDIA is losing its position in science and technology and this decline must be attended to with a “sense of urgency”, the Scientific Advisory Council to the Prime Minister has urged India’s premier Manmohan Singh. The council met on November 8 and stated that there is a need to salvage the sector. It has asked for bigger investments in research and development in public institutions, and for promotion of public-private partnership in research. It also asked for elimination of bureaucratic and outdated procedures in the education system, especially in state universities. Pointing out that many decisions are based on “emotions and individual preferences”, the council states, “dialogues on new technologies and mega projects should be based on reliable evidence and experience”. The 32-member council comprises scientists, doctors and industry representatives. IIT professors, heads of Indian Council of Agricultural Research, Indian Council of Medical Research and Indian Institute of Science, besides officials from the Ministry of Science and Technology are on its board. India’s share in global research is a minuscule 3.5 per cent, states a report published by the department of science and technology in July 2012. It compares Indian science publications with those of developed countries. The report, however, stresses that even a slight effort could help India improve its current rank from ninth to fifth or sixth within three years. The council has cited many success stories in Indian science, the recent being nano-science and the mission to Mars of the Indian Space Research Organisation. The initiative for nano-science started in May 2007 with a sound allocation of Rs 1,000 crore for five years. This resulted in India achieving the third rank in the cutting-edge subject. However, more investment is required, particularly in energy research, disease biology, agriculture, water management and bio-informatics. The council holds that time is ripe to improve the sector. According to the latest census, 30.9 per cent of Indian population is under 14 years. In 20 years, this group will be the country’s workforce. The target should be to develop the scientific temperament of this group, a council member says. At present, India spends only two per cent of its GDP on education, though as per education and science ministries’ recommendations, it should use up to six per cent. “The education system suffers from poor governance, over-regulation, inadequate output, skill deficit and faculty shortage,” says council member R A Mashelkar, research professor and chancellor at the Academy of Scientific and Innovative Research. Many countries are investing heavily in education to form a strong foundation. India, which focuses its education on text, fails to do so. “The need is to integrate education with research and innovation. Education disseminates known knowledge. Research creates new knowledge and innovation converts knowledge into wealth and social good,” says Mashelkar. This apart, many innovations happen at the grassroots level. “When we ask for investment in research and development, it is not limited to scientists and science institutions. 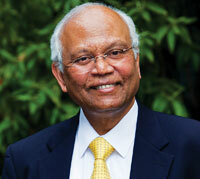 It also applies to innovators, be it industry or individuals who have excelled in their fields,” says Rao. India, at present, has three categories of researchers and scientists, says a council member from IIT, who did not wish to be named. The first works in isolation and has the prime goal of publishing its research papers. As high as 85 per cent of the scientists and researchers come in this category, he says. Ten per cent of them work for industry, and a meagre 5 per cent work for specific social goals. As per UNESCO Global Science Report 2010, as many as 36,261 research papers were published in 2008 with a work force of 154,827 research and development professionals. “That is why our innovations and discoveries do not reach the ground level,” he adds. When the success of a scientist is based only on the number of his research papers, the outcome will not be good because the applicability of research was not tested. In the Indian research system, promotions are based on the number of papers published, he says. “There is a need to reform the way scientists’ success is measured,” he adds. A senior science and technology ministry official, however, says that according to their 2012 study, the number of Indian research papers cited by international scientists is increasing. “It is not that Indian scientists do not work,” he argues. 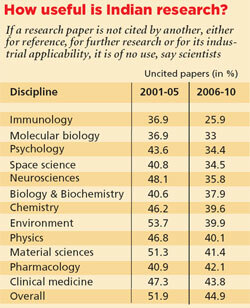 In fact, the output of Indian scientific papers is growing at a rate of 66 per cent, the study states. The citation impact of papers emanating from India has increased from 0.35 in 1981-85 to 0.68 in 2006-10. The figure is reached by dividing the sum of citations by the total number of papers in any given data set. 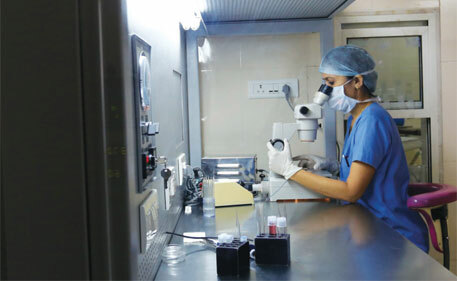 According to the study chemistry, physics, material science, engineering and clinical medicine are active research output areas in the country. “Success of a scientist should be based on quality, not quantity,” says the council member from IIT. “This is one of the major reasons for failure of scientists in India,” he adds. Bureaucracy is another. According to Rao, bureaucracy hinders smooth functioning of the system. For instance, appointment of a director in a research institute can take months. It requires approval from the Department of Personnel and Training. The management of technical institutes or the ministries should be given the freedom to appoint scientists, he says. If a director has to be re-appointed, an application must be given once again. This is a time-taking procedure. “The retirement age of a science institute’s director is fixed. It is not caliber, but a scientist’s age which decides his job,” says 79-year-old Rao, who is an international authority on solid state and materials chemistry. 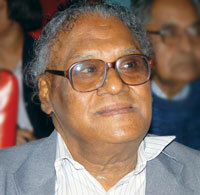 He is the only scientist in India whose work has reached the H-index of 100 in April this year. H-index is the quality of scientific paper based on its number of citations. Rao says salary will become secondary if scientific temper of the new generation is built and people are given a good work environment. But for all this, the government must act. The need is right, but look at the expenditure...recruitment of one scientist will further need to set a laboratory..a well furnished lab..with all imported instruments, e.g. as shown in the lab pic above (my guess)requiring big investment. This aspect also needs to be considered in a country with big figure of poverty.